A new book suggests he could have gotten off with a $1 million fine if he blamed the equipment guys. By Spencer Buell·	 8/3/2018, 10:11 a.m. The Deflategate saga could heave ended differently, if only Tom Brady had agreed to sell out his equipment managers and blame the whole thing on them. That’s according to a brand new version of a contentious chapter in Patriots history described in an upcoming book that dives deep into the nearly two-year-long ordeal. 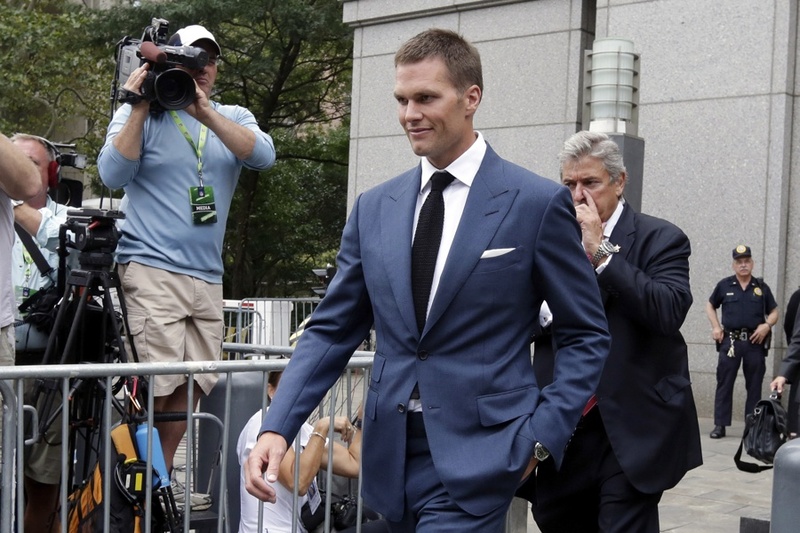 According to Dave Wedge and Casey Sherman, authors of 12: The Inside Story of Tom Brady’s Fight for Redemption, Brady made an offer to pay $1 million, but NFL Commissioner and comic book villain Roger Goodell wanted more. “He demanded that Brady state publicly that former Patriots equipment guys [John] Jastremski and [Jim] McNally had purposely tampered with footballs, even without his knowledge,” they write, according to an excerpt published in ABC this week. Tom refused. “There’s no way I’m gonna ruin these guys for something I believe they didn’t do,” the quarterback said, according to the book. We all know how it played out instead. Eventually, after backroom arguments and a courtroom battle, the league ultimately gave Brady a 4-game suspension, and the Pats emerged unscathed, going on to win the Super Bowl. We could have been spared all that heartache if the GOAT had only thrown his crew under the bus, but Good Guy Tom Brady did not. This will likely not be the last retelling of the story you hear. Sherman and Wedge—who also wrote the books behind The Finest Hours and Patriots Day are in talks with movie execs about bringing the story to the big screen.